The uber-performing Germans at Porsche aren’t pleased about people still saying the Boxster doesn’t have enough power, not even in S spec. 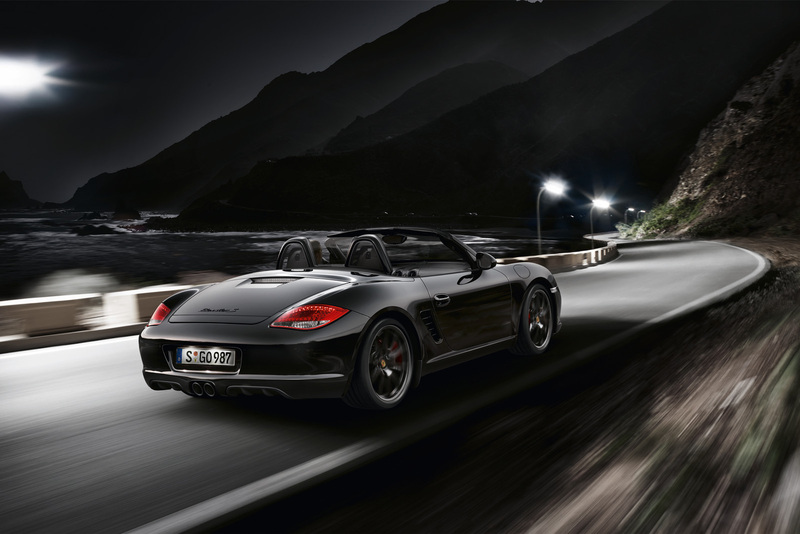 In order to silence a few of the power crazy commentators, Porsche decided to start offering a limited edition of 987 units of the Boxster that come about with more power. So just how much power does the best balanced roadster on the market offer in it’s limited edition spec? Well, as it turns out, the new Black Edition’s engine is the same 3.4 liter flat six cylinder engine is essentially the same as you’d get in the regular version of the Boxster S.
The detail is, as ever, in the details. This is where Porsche’s engineers have made so many differences that they could eventually ring out 320 horsepower and 273 lb-ft of torque. That’s fairly impressive, but it’s just 10 horsepower in improvements. I guess the Germans must have realized this and therefore have made this limited edition Black S, somewhat more interesting by adding in a few options. 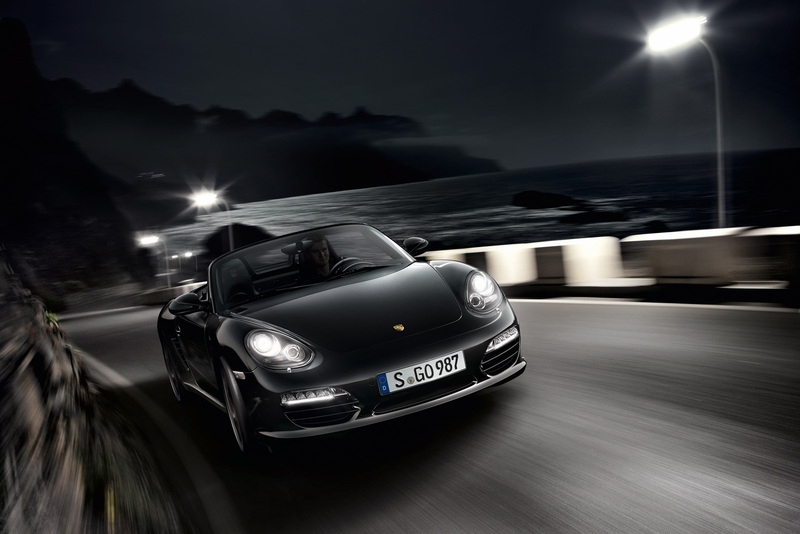 And they added quite a lot of them because Boxster S Black Edition comes as standard with the “Comfort”, “Infotainment” and “Design” equipment packages, thus delivering pretty much everything you could want apart from one thing. 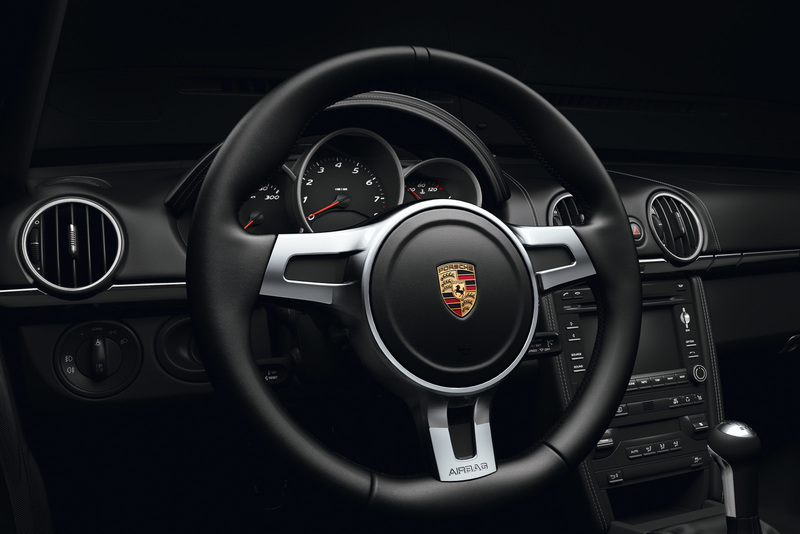 The only option you don’t get as standard with the Boxster S Black Line is Porsche’s seven speed, PDK twin-clutch gearbox. And the price needed for you to get a limited edition Porsche on your drive comes in at some $65.200. Therefore, not only do you get a rare car, you also get to save about 3-4000 dollars on equipment thrown in.